I'm wondering if there's an alternate shop in the U.S. to order from than Vintage Inlines? I've been trying both email and phone and can't get anyone to return my queries. I have my OZ 2V 250 head in the shop right now and I'm about to go away for over a week, so I'd like to get rebuild parts in before I go. I guess all I would need for sure are valves and perhaps springs. I'd like to go with larger values (especially intake, I suppose) and would like to be able to source those in the U.S. so that I know I can get them rather quickly. Re: Alternate to Vintage Inlines? Matt is a one man shop and may be away for a short time. but a lot different than "our guy". 2) Also U can go directly to the manufacturers (who the box stores gettum from). 3) Try oneada 'stang specific shops (cj pony, mustangs unlimited, etc) falcon, etc. is on a budget so I stay away from (Duff's, BCbronk, jeff's, WH, etc) them. She does fine! I'm patient (been @ this motor'n rig 33 yrs.). I hope he gets back to me--I know he's busy and I've had some dealing with him in the past and he's been good--but I am in a bit of a time crunch now as I don't want to leave my OZ head sitting at the shop and I won't have any phone service for 1.5 weeks or so starting Wednesday. At the minimum, I need valves for a 250 OZ head (shop recommended bigger intake if possible) and perhaps springs. Everything else can wait. mike was kind of the same way when he started classicinlines. he was busy running a one man shop, getting organized, and developing new parts. be ware that their customer service is somewhat spotty. You could also try contacting SI Valves directly. They still list all sizes of exhaust and intake port flow series valves in their catalog. rbohm wrote: mike was kind of the same way when he started classicinlines. he was busy running a one man shop, getting organized, and developing new parts. Its downright hostile to some Ford Sixers who want to go fast, but don't want a US solution. Not because of anything else but the cost of finding parts to suit a foreign 2V 250 head. How do you pay for something thats just gonna cause you to stop, and research THIS forum? Clifford supply what it can afford to, from the supplier inventory that has the back-up required. Same as Matt Cox. Difference is Matt Cox want's to supply parts to you. Clifford doesn't if its a 2V 250 head. You will work all this stuff out, but you've decided to deal with Foreign Stuff. but your just where everyone of the 50 or more people were from 2003 to 2006 that had imported 2V 250 heads. Its frustrating! Updated 03/2009 - First posted 12/2002 - Aussie 2V owners! Mustangaroo wrote: Well that makes 28, and still counting. New total Aussie 2V is 42 and still counting! Your still very much on your own if you want to fast track a 2V head. Everything was altered in Australia to give a performance increase with a cost reduction, so everything was changed. exhaust gasket (for the factory tubing header) are all different. Oversize intake valves are a very bad idea because it then triggers a whole new set of US spec valves, and you can't balance the poor exhaust flow with 1.75 to 1.8" intake valves. Unlike the smog era induction hardened or inserted D and E date code heads, the Aussie exhaust valve seat area won't take an over sized valve or a stelite insert. It wasn't designed for unleaded gas. Al the later US heads were, even though they downgraded the casting to a puny 187 thou thick target at the factory. The US heads have added extra metal in the exhaust and intake seats. Valves are different stem sizes, the Aussie 250 2V M code is a V8 size valve stem. If I was you, I'd downgrade to US spec stem sizes, but your on your own if you want to fast track things with bigger vlave sizes. Matt Cox has retooled for the Aluminum Vintage Inlines head, so he is "busier than a one-armed bricklayer in Baghdad". he's zero'd into what works well and what is supplied at a good price. but you won't beat price, performance, backup, and the assistance and advice on how to make PCV valves work, DUI igntion curves work, Webers work, cold air intakes fit. Last edited by xctasy on Thu Jun 22, 2017 8:12 pm, edited 3 times in total. IMHO, you don't wanna blow your budget on the head. Going over size on the intake valve will instantly push the builder into doing the exhaust, and there isn't the metal to clear a 1.5" exhaust valve, it doesn't matter if others have. Stock intake was 1.647". Over seas (here!) 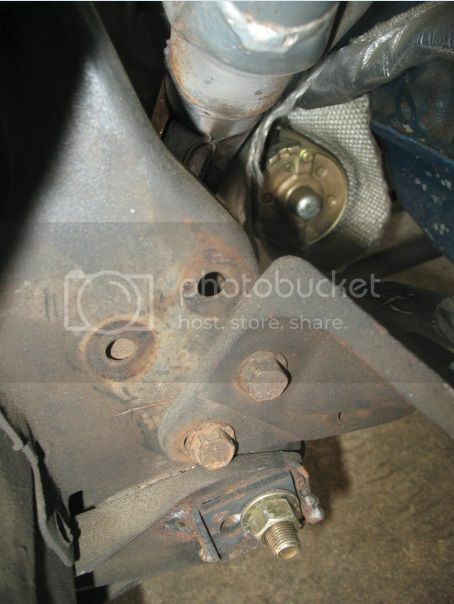 the ding bats always up the intake valve size, then the exhaust with Holden XT5 202 or 253/304/308 Yella Terra valves. So my advice? Curtail any extra spending this instant, and go back to stock intake and exhaust valves, and the valve guides that are cheapest. You'd be okay with US valves of the 1.65/1.48 size with the US vlave guid size to avoid costs and problems. Then fit a carb your happy with. I'd go cable K495 or 551-38, with Matt Cox's 38 DGES, and use the Tercyl 1979 to 1983 linkage with the Lokar 69 Mustang cable coversion kita nd nice big return spring. 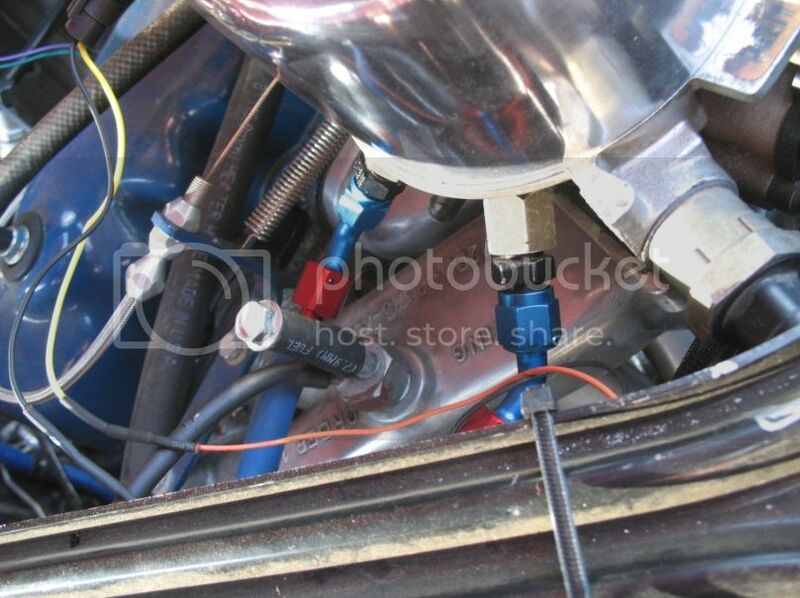 Use a Vintage Inlines exhaust gasket and try find a 2V intake gasket, and find the headers that work for you. Use the advice form the people on this forum to fast track your project, but for heavens sake, no Machining a 2V 250 head except for bare minimum reliabity rebuild. The big intake and exhaust valve Gospel isn't what a big port 2V head needs because the exhaust is no better than a US 200/250 head, and the ones that suceed seam to just a 3 or 4 angle valve grind. ricksmol, 65coupei6 etc etc. He's been there, done that...and it still working with 32/36 Webers, and has dealt with Tom Langdon's Stovebolt stuff. All I6 guys stick together and help one another.CoupeBoy and jamyers, kevinl1058, Mustang Geezer, ricksmol, 65coupei6, examples to us all. The other guys in the 2V head post are prospects for help. You can only get smarter if you carpet bomb us all with questions! dayman wrote: I have one in the shop getting guides and valves. Pic's is a couple of weeks. Here they are in fullsize without having to download from your website...we''ve lost a lot of great 200/250 induction system photos over the last11 years, like a Ken "tri-power 250"'s (250 triple Carter Weber equiped I6), and don't want it to happen again. 264/274-110* Hydraulic Cam - Dual. I think it will be a better all around choice. kevinl1058 - That is one cool looking Falcon. Really sounds great. Very impressive. Wheels really awesome!!! I will post up some photos as soon as I get something worth seeing. ozconv wrote: I know this is an old thread but I just joined in the last few weeks and wasn't sure where would be the best place to make my first post. I recently bought a rebuilt OZ250-2V head and intake off of eBay from Aus Ford Parts and was wondering if anyone has ever delt with them? My plan is to install the head on my '67 mustang convertible. I restored the car about 10 years ago and it is mostly stock except for a pertronix ignition and coil, 14x7 aftermarket rims with P235/60R14 Cooper Cobras, 4-lug power front disc brakes, and a unisteer manual steering rack. Except for the pertronix the engine is a basic bone stock rebuild with less than 10,000 miles on it. The car has a rebuilt C-4 automatic and the original 7.25" rear axle with a 2.83 gear ratio. I use the car primarily for cruise-ins and car shows with occassional pleasure cruising. I have received the 250 head from Aus Ford Parts and done a preliminary examination. The casting code on the head is ARD10E 6048 AC. The head was rebuilt using the original valves. One of the exhaust valves shows some pitting. I removed one intake and exhaust valve to measure them. The stems measure 0.344" in diameter so according to the Falcon Six Performance Handbook they are non-US valves. 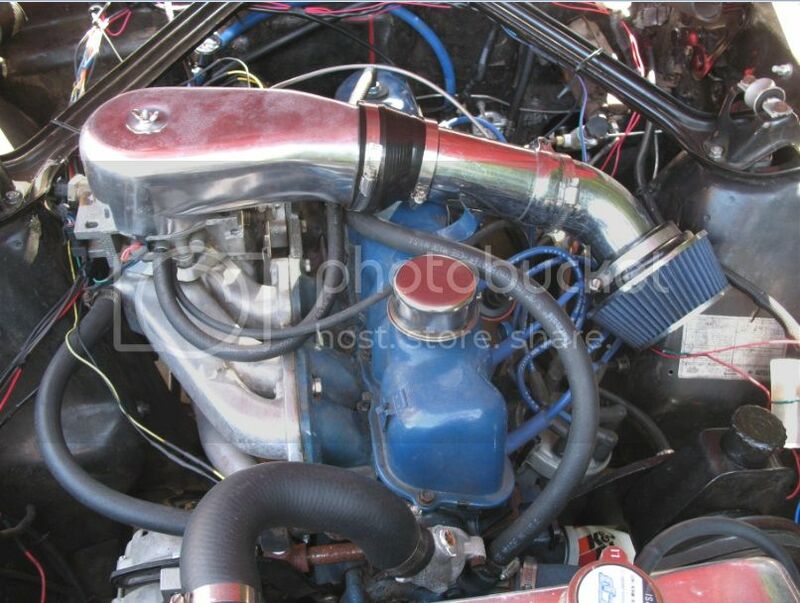 The intake measures 1.770" and the exhaust measures 1.476". This is confusing to me beacuse the OZ-250 section of the FSPHB says that 1.75" intakes were the largest intakes offered. 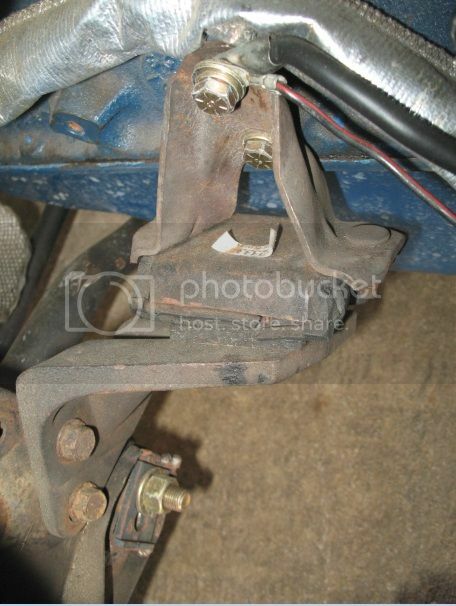 The measurements were taken with a pair of calipers. It looks to me like a 3-angle valve job was performed. Not sure if hardened exhaust seats were installed. The head does not have a port divider but it looks like it may have been ported as the bowls and runners have a smooth surface and the exhaust ports flare out a bit at the gasket surface. There are no cast circles in the exhaust port ceilings except for no. 3 and no. 4 which also are the only place in the runners to have a rough cast surface. The retainers are one piece and look very similar to the 260 V-8 retainers in the FSPHB. Not sure how to post pictures but once I figure it out, I will post some. My plans are to measure the combustion chambers to determine how much it needs milled to get it to the 67 200's 52CC size. I also may weld in a port divider before taking the head to a machine shop to have it checked out along with milling it and facing the exhaust flange. I am not planning to replace the valves and springs at this time as they are pretty good sized. Because my engine is rebuilt with low miles and in the car, I am reluctant to do a cam swap. I am, however, seriously considering a set of 1.6 roller tip rockers to gain a little more valve lift with the stock cam and the ability to adjust the valve lash. For exhaust, I plan to get CLassic Inlines header and install 2" dual exhaust with Flow Master mufflers. Because I blew my budget on the head, I plan to rebuild an autolite 2100 2V that I have lying around. I need to check the size but it is for a '67 289 so I am guessing it is around 300CFM. I also have the load-o-matic distributor so to save money I was planning to rebuild a distributor from a '71 250 and convert it to a Pertronix ignition. Any advice concerning my plans would be appreciated. This is with my timing set at 14 degrees. Next time I go I will try bumping it up to 16. Econoline wrote: You could also try contacting SI Valves directly. They still list all sizes of exhaust and intake port flow series valves in their catalog. This is fine with me. I can come back to Vintage Inlines for everything else I need. Can someone please tell me the exact stock # or point me to the exact valves and springs that I need for the 2V so that they're stock size in diameter, stem diameter, stem length, etc? I've never bought valves before and certainly don't want to screw this up.. I have the old temperature sensor.. I think.. yeah. .I do.. I pulled it out before going to the shop. What about the head gasket? Can I use the US 200 or 250, or is that a special deal, too? 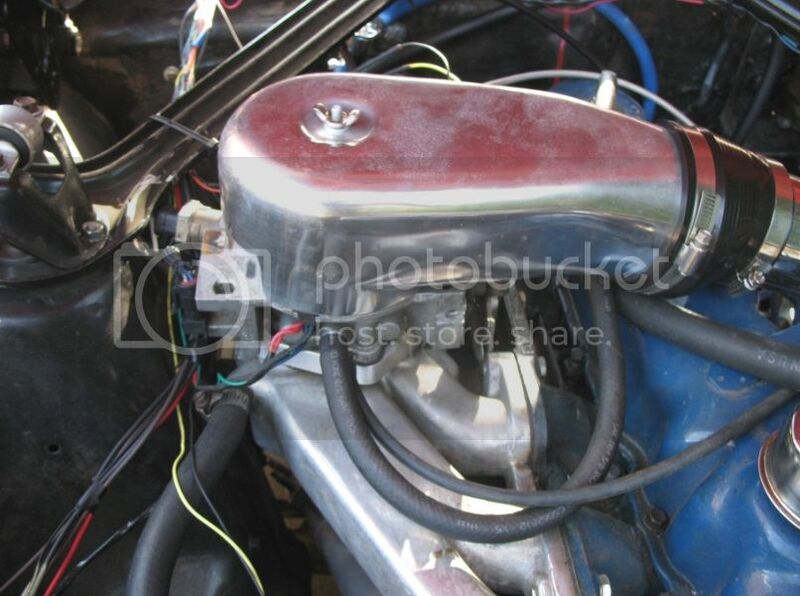 I will certainly order the dual headers from Vintage.. does the exhaust gasket from that work? And.. the spark plugs are different? What American make/model should I say I have when I go into the store? This makes my eyes roll back into my head a little bit.. but I'll start using drugs or something after I get the head back and maybe that'll help..
the numbers are in the catalog on their website, depends on what size valve you want and whether you want regular valves or the portflow valves. Econoline wrote: the numbers are in the catalog on their website, depends on what size valve you want and whether you want regular valves or the portflow valves. I get that if I want to go and buy something, I need to know what that something is; I've ordered and bought things before, you know But, at the moment, I don't know what those measurements are and even if I looked it up, I wouldn't trust myself at my experience level to get the right ones--I just need new valves for this thing that are basically exactly the same as the stock valves. to the site and this forum! Should have been curtious'n extended this earlier. Congratulations on your choice of head for ur engine. You have a "project" there and unless you have a lot of knowledge and money (need it tomorrow) it will take 'some time' to "bring it all together". I'm glad you came here as there are some of the most profound experts internationally. You seem to be taking advice very well and have already modified some of your plan (to increased performance and reliability). Far be it from me (not even up to Shade Tree Mechanic I) to advise you (& here is where he goes ahead and offers somethings) yet I've been 'supervising' (alright, a lill of the work too) my build for close to a decade (I am v e r y on low funds). My advise is to gather all the info U can (& there seems 2 B a reduced amount on these Oz 2v compared to other i6 motors - yet here seems to be THE place). And do that way before you start the project (how does it go? PP,PPP - pre planning prevents poor product?). If you agree with my premiss step 1 knowledge building, then plan development - there are some of the best top notch resources right here. "the Handbook" can be ordered at amazon (Ford-Falcon-Cylinder-Performance-Handbook/dp/B000B7I496) or thru our members (the authors) &/or Matt. It's about $20 and a great source. After ordering it you should peruse the free source on here - the Classic Inlines archive (Perry our web master set up a 'button' on the index page of each forum here) while waiting for delivery for another incredible amount of info. Also I believe there's a forum here on that 'variant' of the i6. Good luck, will be following you and your progress! chad wrote: W E L C O M E!!! Thanks for the welcome! I've been around before... a long time ago.. and people were really helpful. Right now I'm doing the head and intake, only, so things aren't as critical. I might not ever take apart the engine, to be honest. It's running well and was well cared for (I'm actually in contact with the car's original owner who cried with joy when I first contacted her). So.. the plan is to get these new valves in if someone wouldn't mind telling me the right ones to order.. If I can help you on distributor options, just give a shout. Ford DS11 or Real HEI's recurved to your engine. Need more info on your compression ratio & rocker arm choice. Maybe I missed it on your transmission in your pride?? Matt has a lot of parts that he purchased from AZ Cp. so his inventory is stout. He is very knowledgeable with automotive as his background is in that field. Just be patient he will get back to you asap. I'd like to go with larger values (especially intake, I suppose) and would like to be able to source those in the U.S. so that I know I can get them rather quickly.